The SMOK Stick V9 Max is the newest addition to the long-running and very popular SMOK Stick line and probably SMOK’s best stick mod to date. Not only does it feature a 4,000 mAh battery – the largest capacity I’ve ever seen on this type of device, but also comes with high-quality sub-ohm tank that can hold up to 8.5 ml of e-liquid and is compatible with a large variety of coil-heads. So if you like long-battery life, high juice capacity and prefer stick mods to box mods, the SMOK Stick V9 Max is definitely worth considering. 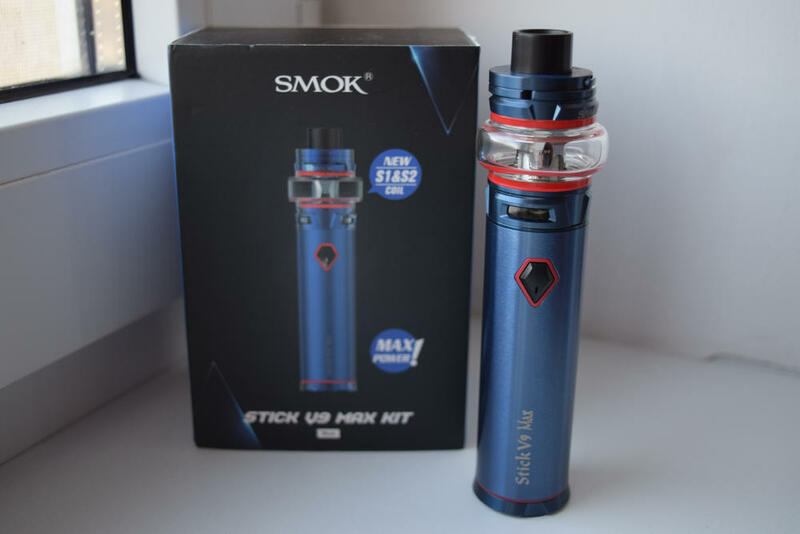 The Stick V9 Max comes in the usual SMOK packaging, a rectangular cardboard box with a picture of the device on the front, and a list of contents and some legal warnings, on the back. You’ll also find company information and an authenticity sticker on the sides of the box, if you’re interested in that stuff. Inside the box, we have the V9 max battery sitting snug next to the included V9 Max tank and a spare coil-head (another one comes pre-installed in the tank). Underneath the Styrofoam holder you’ll also find a user manual, a micro-USB charging cable and a bag of spare o-rings for the tank. The one thing I was surprised to see missing was a spare glass section for the V9 MAx tank. As someone who has cracked a few tanks, I consider that to be a big con. SMOK used to always include a spare glass in its kits, I don’t know why they didn’t this time, but I suggest they go back to their old ways, as this is a pretty big deal. Glass tanks crack very easily, especially when they flare out from the metal frame as much as that of the V9 Max, so including a spare is a must. In terms of design, the SMOK Stick V9 Max battery is very similar to the Stick Prince. It has the same tubular shape with a flared platform at the bottom for extra support, and the same diamond-shaped plastic fire button, but one thing that’s different is the size. While the SMOK Stick Prince was only 24.5mm in diameter, the V9 Max is a whopping 28mm around, and 88mm long. However, the difference in size is justified by the large battery capacity of the V9 Max – 4,000mAh. That’s the largest battery I’ve ever seen on a stick mod. There are a few other subtle differences as well, like the LED indicator embedded in the fire button of the Stick V9 Max, which not only lights up every time you press the button, but also acts as a battery life indicator. Pressing the fire button two times rapidly will cause the button to light up green, orange or red, which lets you know how much power is left in the battery (green is >70%, orange is 30% – 70%, and red is <30%). But as far as the battery goes, it is still very similar to most other stick mods. The tank included in this kit is called the V9 Max, but it’s basically a larger version of the SMOK TFV8 Baby V2. It has the exact same design, but a larger e-liquid capacity. 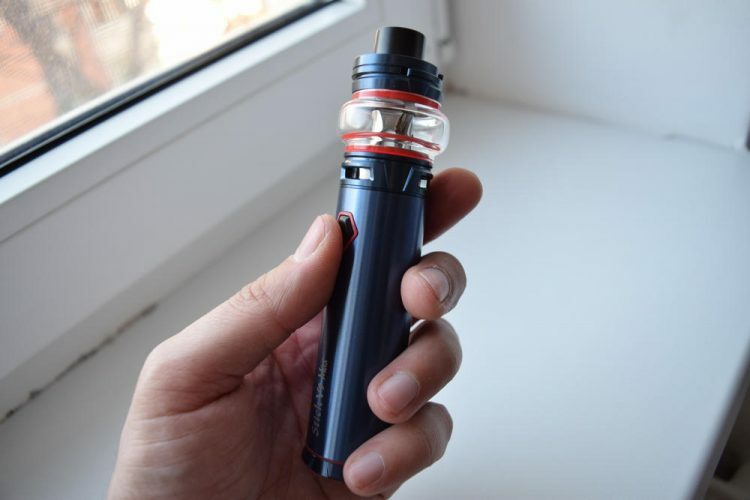 The most visually distinctive feature of this atomizer is the bulging glass section that extends from the metal frame, reminiscent of a flying saucer (kind of like the Advken Manta tank). The tank itself is 28mm in diameter, in order to match the V9 Max battery, but the glass section extends to a whopping 35mm. 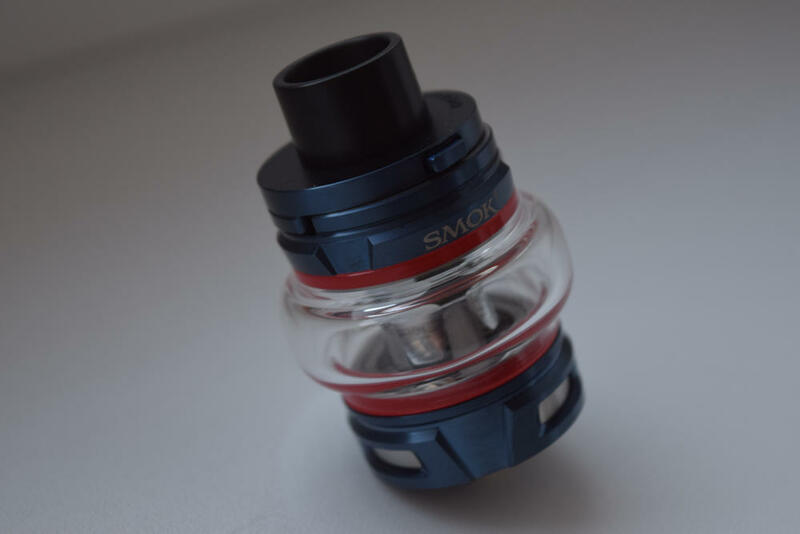 Bubble glass tanks are very popular these days, and for good reason – they greatly increase juice capacity – but I think SMOK may have overdone it on the V9 Max tank. Not only does the jumbo-size glass look more than a little strange – some would even call it ugly – but it’s also an accident waiting to happen. Despite the flaring platform on the battery, this is still a stick mod, and we all know how easily they tend to tip over. Because the glass extends from the tank body so much, if your mod were to tip over, the glass would be the first to make contact with whatever surface it hits. And with no spare glass included in the kit, it could spell tragedy. The SMOK V9 Max tank features a proprietary sleeve-like Delrin drip tip that slips over the extended metal chimney of the atomizer and is kept in place by a pair of o-rings. So if you were hoping to use your favorite 810 or 510 with this tank, I’m sorry to tell you that it won’t be possible. Then we have the swivel-style top cap which conceals the top-filling system of the tank. 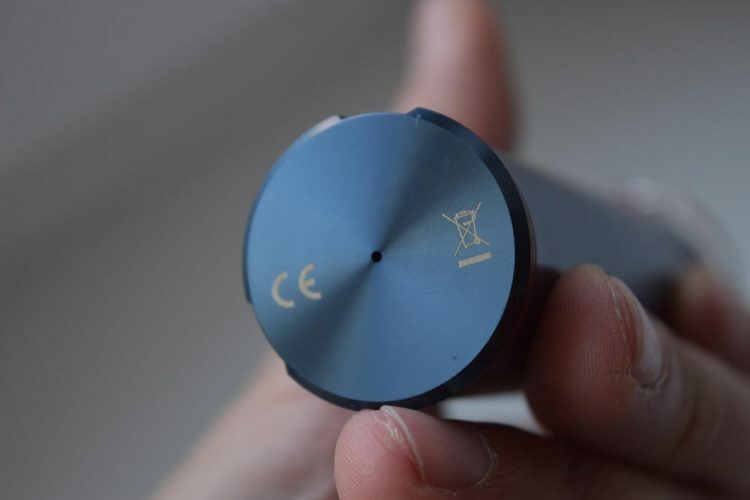 It’s the same system we’ve seen on the SMOK TFV12 Prince, with that small button on the side of the top cap. All you have to do is press that button to unlock the top cap and then press your thumb against it to reveal the large fill slot. 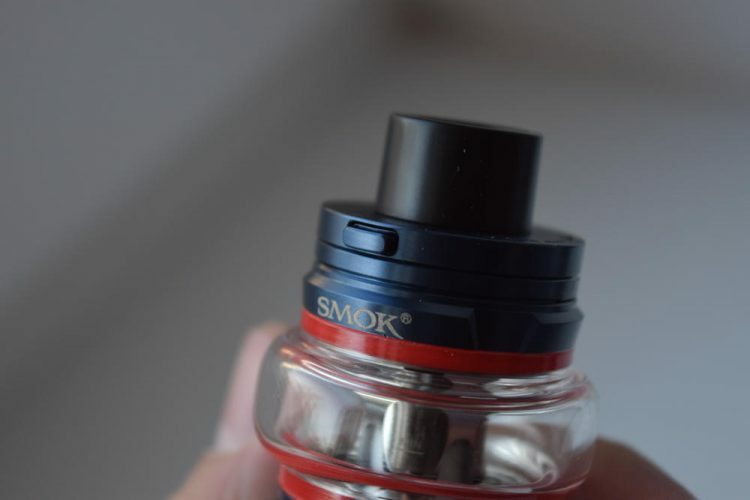 The locking feature is an improvement over the early swivel-type top caps on tanks like the SMOK TFV4, which tended to open by mistake at the worst possible time. On the bottom, the V9 Max tank features three massive airflow slots, and a gold-plated, fixed 510 pin. 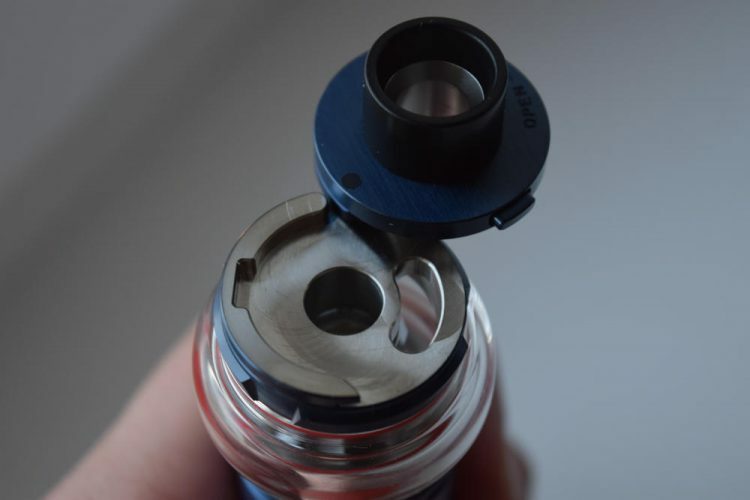 The V9 Max tank comes with two different coil-heads called the S1 and S2. The first is a single mesh coil with a lot of airflow, while the second is described as a quadruple coil-head, which basically means it’s a dual parallel wrap. They are both rated at 0.15Ω, the lowest resistance supported by the Stick V9 Max battery. One of the biggest draws of the new SMOK Stick V9 Max is its huge battery capacity. 4,000mAh is a considerable leap from the 3,000mAh of the Stick Prince or Eleaf iJust3, and should give users at least a couple more hours of vaping on a single charge. That’s a pretty big deal, and should prove to be a big competitive advantage for SMOK at least until its competitors come out with their own 4,000mAh tubes. The Stick V9 Max features vape-while-charging technology, allowing you to use the device while it’s charging, which is a good thing too, because this device takes a long time to charge. It’s not just the high capacity of the battery that’s to blame for that, but also the 0.66A charging current. Forget 2A charging, this thing doesn’t even do 1A charging, so getting it fully charged is going to take a while. One important thing to note about the SMOK Stick V9 Max is that it’s an unregulated device. That means it pulls power straight from the battery, and that power output is going to go down as the battery voltage drops. You’ll probably start to notice a different in performance, particularly vapor production once the voltage drops under 3.7V. You’ll still be able to vape, but you won’t get the same experience as when the battery was fully charged. That’s just how unregulated vape mods work. In terms of vaping performance, the SMOK Stick V9 Max delivers both in terms of vapor production and flavor, particularly with the S1 mesh coil-head. 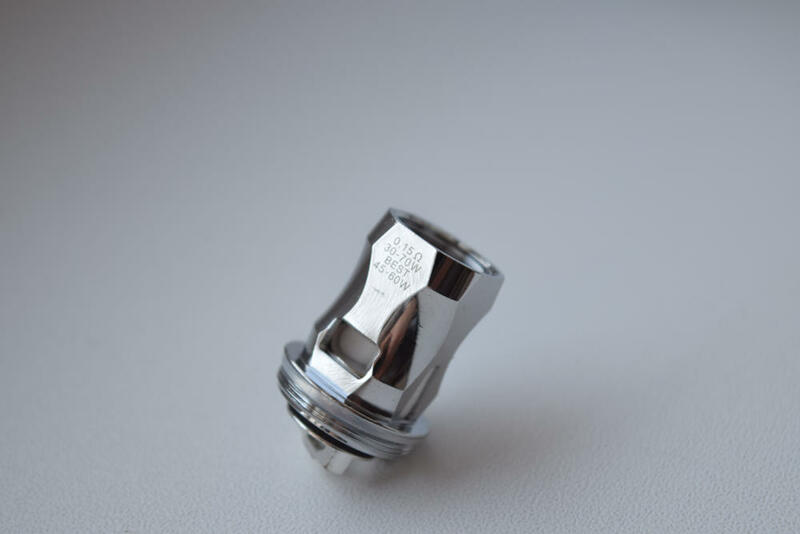 We all know that mesh really brings out the flavor in an e-liquid, and while the S1 isn’t as good as the Freemax Mesh Pro coils, for example, it’s still a very good single-mesh coil-head. However, it’s also extremely airy. I found myself having to close down the bottom air slots on the tank down to less than a quarter just to restrict the draw a little bit, and that may be an issue for some users. You can definitely tweak the airflow settings to improve your vaping experience, but I think SMOK should also offer a dual mesh coil option that doesn’t let so much air in. The S2 coil-head is a bit more restrictive, and also offers a slightly warmer vape than the S1, but it features standard wire coils, so the flavor isn’t as good. It’s still a decent coil-head, though. I’m not 100% sure, but I’m assuming that TFV8 Baby V2 coil-heads are compatible with the V9 Max tank, which really opens up a lot of options, especially in the mesh coil department. Also, SMOK is known for constantly coming up with new coil-heads for its platforms, so you’ll definitely be able to find something you like in their lineup. 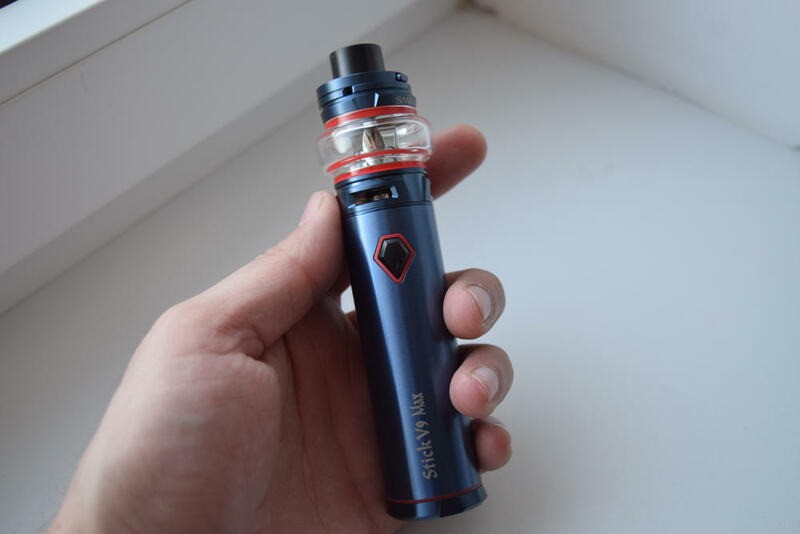 I’m not a huge fan of that bulging glass section of the V9 Max tank, or the fact that you don’t get a spare glass tank with this kit, but there’s no denying that the SMOK Stick V9 Max has a lot of things going for it. The 4,000mAh battery extends vaping time by quite a bit, the 8.5ml juice capacity of the tank means you won’t have to fill it up very often, and the vaping performance is pretty good too. I expect this kit to be another big hit for SMOK. The SMOK Stick V9 Max was sent to me by AVE40, for the purpose of this review. They’re currently selling it for only $53.90, which is the cheapest price I could find for this kit.